“I believe that she believes what she testified to,” the Maine Republican said of Ford’s testimony, in which she recounted being sexually assaulted at 15 by a then-17-year-old Brett Kavanaugh: “I do believe that she was assaulted, I don’t know by whom, and I’m not certain when, but I do not believe that he was the assailant.” Collins made the comments on Friday, when she announced her support for Kavanaugh—while, in the same breath, saying she supports the #MeToo movement. Collins was one of the undecided swing voters in the Senate who ultimately tipped the vote in Kavanaugh’s favor. 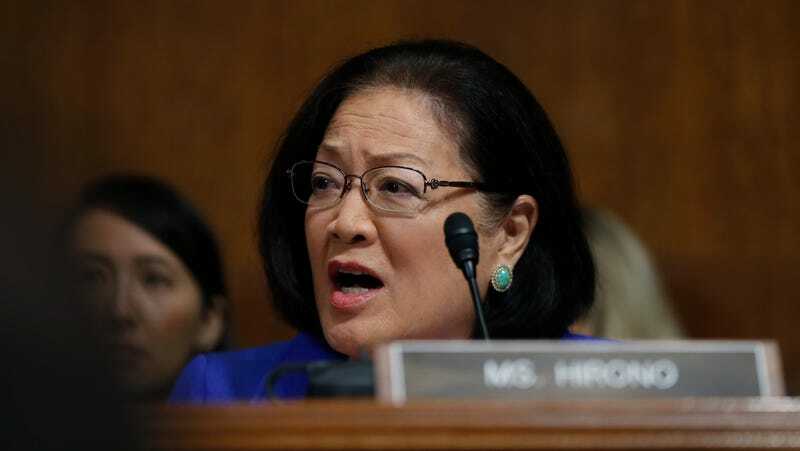 Hirono also criticized the assertion, made by Collins and other Republicans, that Ford’s account had not been corroborated. “She had talked about this assault to her husband, to others, before Brett Kavanaugh ever was nominated to the Supreme Court. She took a lie detector test.